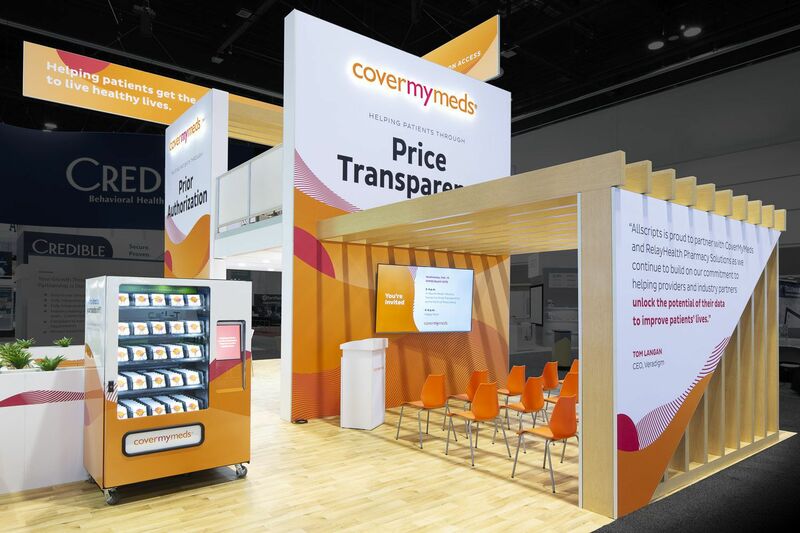 HiMSS 2019 Recap: Double Deckers, Lighting, and Presentation Space… Oh My! In February of 2019, more than 45,000 people flocked to Orlando. No, this was not to check out the new Toy Story Land at Disney World - this was for the leading health information and technology conference! 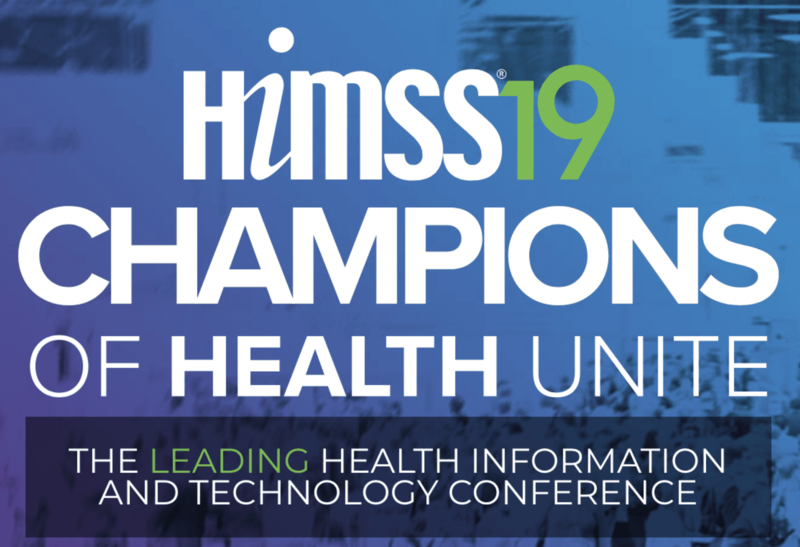 The 2019 HiMSS Global Conference & Exhibition brought together professionals from over 90 countries to partake in over 300 education sessions, and to speak with over 1,300 vendors. This event always brings together the best and most impactful exhibits in the industry. With more than 1,300 exhibitors, companies are forced to be creative and innovative in order to showcase themselves, and their products. Many of the Fortune 500 exhibitors make significant investments in their exhibit presence, and much of this new booth property will last around three years on the trade show circuit. With that being said, we are beginning to see another round of new exhibits popping up on the trade show floor at HiMSS. Exhibitpro has been supporting clients at HiMSS for over 15 years, and we have seen many design trends come and go. This year, at HiMSS 2019 in Orlando, some of the major themes and tactics included double decker’s, lighting, and presentation space. It seemed everywhere you looked on the HiMSS show floor, you would encounter a different multi-story exhibit. These have become increasingly popular, especially at HiMSS. These double decker’s allow for exhibitors to efficiently maximize their space. At HiMSS, it is vitally important to have space to demo and discuss your company’s products - but for many exhibitors there is also a need for a more intimate setting to discuss new/existing contracts and services. By moving the meeting space to the second floor, it leaves the bulk of the square footage dedicated to the sales team interaction with attendees through demos, entertainment, food/beverage, and casual seating. With the added structure, it also provides more opportunity for branding and messaging. While digital components have always been a major factor within exhibits at HiMSS, we have seen a major increase in the number of exhibitors utilizing large monitor walls, and large format digital hanging displays. This is largely due to the fact that HiMSS is already one of the larger conferences that utilizes digital displays. What we have seen, is in increase in edge lighting, spot lighting, and creative lighting. Lighting in general can be more cost effective, and simpler to implement than some of the large digital displays. If you have been to HiMSS you know how hard it is to stand out, especially in the sea of thousands of hanging signs. For some exhibitors, you can’t even tell they have a hanging sign until you are right at their booth. Lighting, however, can make a MAJOR difference. While exhibit halls are typically well lit, they cast harsh lighting over the entire show floor. This year, many exhibitors took advantage of various lighting techniques to draw attention to their booth, brand, products, and demo areas. These lighting techniques include spot lighting, edge lighting, projection, and lighting movement. Spot lighting uses par-can lights from the ceiling to light all the booth elements in the space. This causes the entire booth to look like it has superior lighting than the booths around it and immediately draws the attendee line of sight. Edge lighting and projection are utilized to draw the attendee’s attention to very specific locations in the booth. We saw this used on the show floor to designate demo stations, drive brand awareness to company logos, and to call out specific product lines and service areas. HiMSS is the show to attend for industry thought leadership. The entire purpose of this conference is to network, advise, and discuss ways to support the transformation of health through the application of information and technology. One thing that is very interesting at this show is the number of companies that collaborate to improve the patient experience. Don’t get me wrong, there is still fierce competition - but the amount of expertise in so many fields yields partnership and advancement. Presentation space at HiMSS has been a crucial element for disseminating this information to the thousands of attendees. From the attendee side, it does not require any commitment and allows for an opportunity to learn. For the exhibitor, it provides a forum to engage attendees, and educate them in a way that would be hard to do through graphics or a looping video. The presentations spaces are generally around the perimeter of the booth, so attendees do not have to navigate their way through the space, and can easily be drawn in as they are walking down the aisle. It is also critically important to pre-show market your speaker schedule, and have people sign up to ensure a consistent crowd! Overall, HiMSS is one of the largest trade shows in North America, and will continue to be a great source of information on how to exhibit well, and engage attendees to ultimately show ROI. 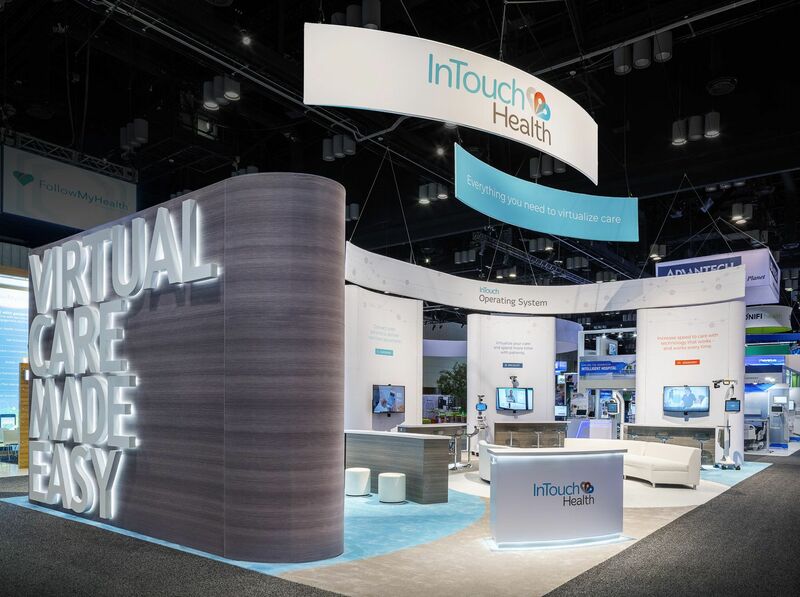 If you are looking to partner with an exhibit house to design, build, and manage your booth at HiMSS, connect with us here. Exhibitpro is proud to have supported exhibitors at HiMSS for over 15 years.